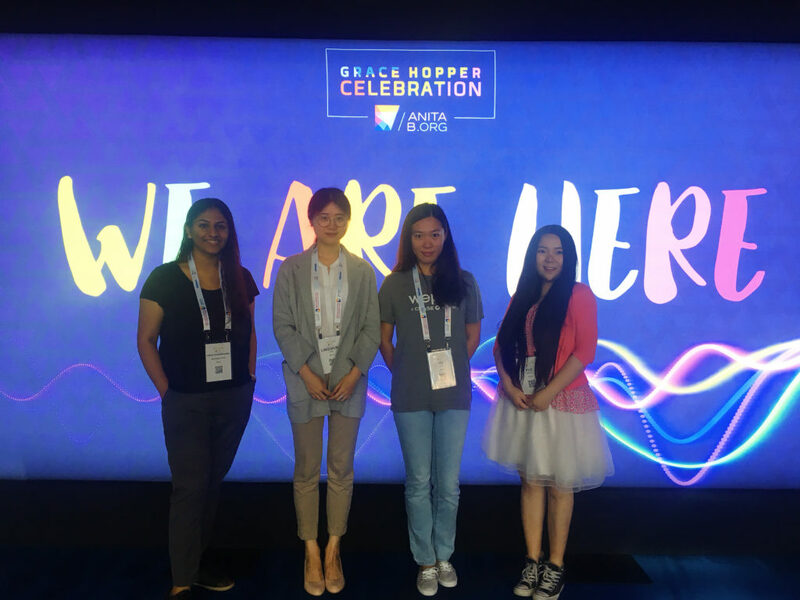 This year’s annual Grace Hopper Celebration (GHC) was held in Houston from September 26 to 28, and the WePay engineer ladies were very honored to have participated. 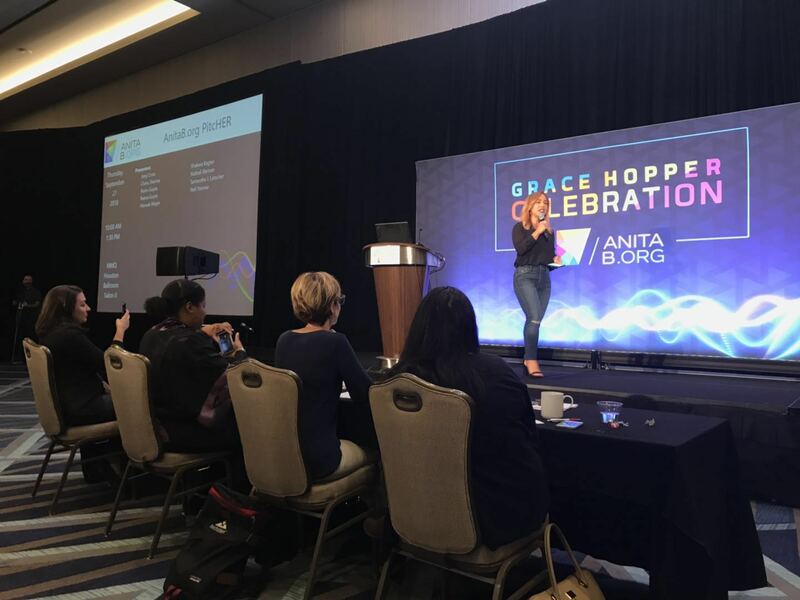 GHC is the world’s largest gathering of women technologists. Although the celebration was only three days, it was really inspiring and impressive. There were lots of interesting sessions covering areas like women’s career growth, networking, technology/experience sharing, and workshops. For Yue, the more attractive sessions were the workshops. The workshops were presenter-led, structured training followed by in-depth discussions, exercises, or problem-solving. Each workshop had two to three facilitators and was held in a large, banquet-style room. Yue was one of about 300-400 attendees in the audience. She joined the “Test-Driven Development for Open-Source Software” workshop hosted by Cloud Foundry. At the workshop, we learned to maintain multiple open-source, test-driven Golang projects. The workshop started by highlighting the benefits of test-driving open-source software and articulating the different kinds of tests developers write. Everyone in the audience had to apply these learnings through exercises by creating unit and acceptance tests and tried out test-driven development in action on their own laptops. Sharon enjoyed the technology and development experience sharing sessions the most. In the session about API security, the presenter used a movie clip to explain the process of token issuing and the authorization for microservices, which really caught audiences’ attention. The Multi-Tenant session emphasized the importance of “single source of truth” in system design. “Hidden Dependencies: Alice Built an App and Unwittingly Became Eve” was a thought-provoking session talking about how a simple “import” command could make your app behave badly. Sometimes you think you are only importing one package but you’re actually importing a bunch of packages which can have unintended consequences. You have little control since your package build is based on others. Even worse, the original package can be deleted for some reason and others can even upload a malicious package with the same name. WePay was one of the sponsors of the PitcHER Competition at GHC. PitcHER supports, encourages, and provides new funding opportunities to women entrepreneurs. This competition celebrates female entrepreneurs from all industries who are leading early-stage technology startups, with the goal of empowering women and/or families and children. Janice Omadeke – Janice is the CEO and Founder of The Mentor Method, an enterprise SaaS company that uses mentorship to increase inclusion and retention of diverse talent. Working with companies like Deloitte and Fannie Mae, the startup offers diverse talent a mentoring framework that makes participants (and their companies) more successful. Nathali Bertran – Nathali Bertran is the Co-Founder and Chief Dreamer of DACA Time, a software system that aims to make the DACA application process easier and more affordable. Nathali’s family came to the U.S. from Peru in 2001 with nothing but the clothes on their backs, and by all accounts achieved the American dream. Her software startup, DACA Time, is her way of giving back to other immigrants going through the same challenges. Reena Gupta – Reena is a serial entrepreneur and philanthropist who dove into entrepreneurship when most women take a career break: after the birth of her first child. She first started the staffing company Avankia, then founded TargetRecruit, an innovative talent management platform built on the Salesforce platform. TargetRecruit modernizes the recruiting cycle at organizations. Reena recently exited TargetRecruit after it was acquired. Reetu Gupta – Reetu Gupta is a mom, educator, and technologist-turned-entrepreneur, dedicated to closing the gap between technology and education by preparing students for the 21st-century admissions landscape. Charu Sharma – Charu Sharma is the Founder & CEO of NextPlay.ai. 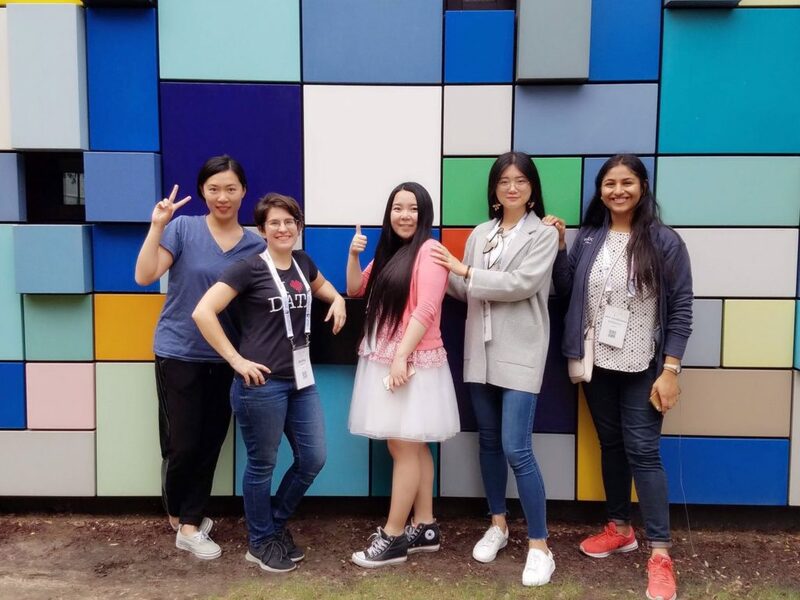 While working at LinkedIn, Charu started a mentorship program for women at the company as a passion project. This eventually inspired her to start NextPlay and to create meaningful mentorship relationships, especially for women and underrepresented minorities. Yadi Younse – Yadi Younse is the Co-founder and CMO of Motiv, a social and financial technology enterprise that provides everyone — regardless of income, credit history, or citizenship status — with transparent and affordable financial services. Motiv aims to help its users save more of their hard-earned money, build credit, and improve their overall financial health. Amy-Willard Cross – Amy-Willard Cross is the Founder of the Gender Fair Index, which performs independent data analysis of industry-leading companies’ commitment to gender equality, allowing consumers to make educated purchase decisions. Shakeia Kegler – Shakeia is passionate about creating opportunities for individuals and business owners to grow and overcome economic hardship using technology. Her startup helps organizations navigate the state and local government procurement processes. Samantha J. Letscher – Sam Letscher is the Co-founder and CEO of Bossy, a platform that connects feminist consumers with women-owned businesses to drive revenue to women entrepreneurs. She launched Bossy while pursuing her bachelor’ degree in Integrated Engineering Studies at Northwestern University. Hannah Meyer – As COO of Pie for Providers, Hannah builds tools that aim to measurably and significantly strengthen small childcare businesses and empower the entrepreneurs that operate them. She is committed to building a profitable and scalable business in a way that leads to better outcomes for women business owners, parents, children, and their communities. 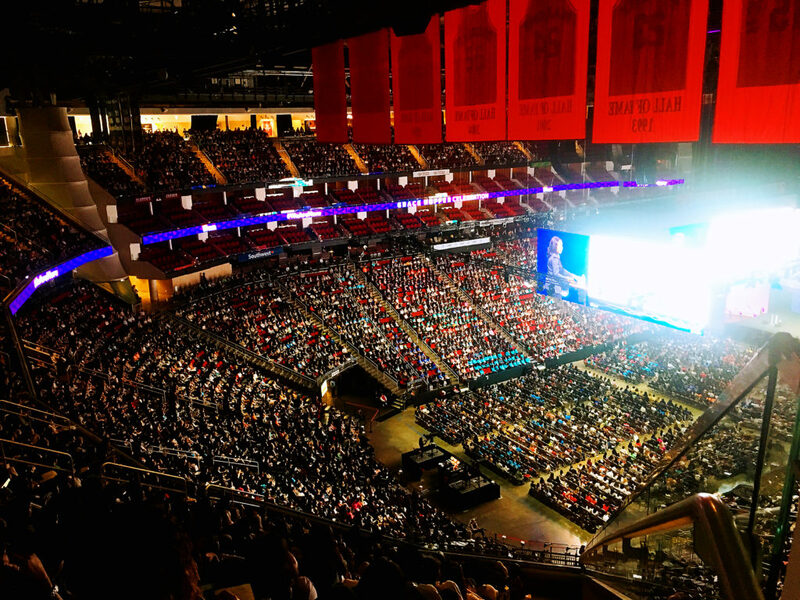 Why did we go to the Grace Hopper Celebration? We believe we are changing the world. We believe we are pushing the boundaries of technology. We believe in ourselves. We are role models. We are women engineers. We are here. Sharon Tan is a software engineer on the WePay API team. She graduated from Georgetown University. Yue Wang is a senior software engineer on the WePay Quality team. She has been at WePay for two and a half years.